Karolinska Institutet is one of Europe’s largest medical universities. It is also Sweden’s largest centre for medical training and research. The Nobel Prize has been handed out since 1901, and the laureate in Physiology or Medicine is nominated by the Nobel Assembly at the Karolinska Institutet. 600 research groups span the full spectrum of medical disciplines. Each year, researchers at Karolinska Institute publish approximately 4,000 articles in international scientific journals. Karolinska Institutet’s publications from 2006 were cited 41 per cent more often than the global average. The department of neonatology at the Karolinska University Hospital, Stockholm is the largest tertiary care NICU in Sweden. The department is responsible for neonatal intensive care for the greater Stockholm region with a total annual birth rate of 28,000 infants / year, and is responsible for NICUs at three of the Stockholm hospitals. Neonatal neurology is one main research area in the department. Research includes experimental studies on brain development, respiratory control and brain damage, clinical trials on both normal brain development, emergence of consciousness, pain and brain damage. The department has a long tradition in delivering courses of excellence, both national and international. The clinical neonatal neurological research is organised in a special group- the Neonatal Brain Imaging Group (NeoBIG) consisting of neonatologists, developmental pediatricians, neuroradiologists, MR-physicists and neurophysiologists. Several papers in high impact journals have been published over the last few years, and the group has been successful in its fundraisings. Three of the main researchers (H Lagercrantz, U Ådén and M Blennow) are members of the European Neonatal Brain Club. The main research topics are: perinatal asphyxia, brain damages in extremely preterm infants, functional imaging of the newborn brain using near infra red spectroscopy in development and disease, experimental brain damages in ELGA-infants, and the emergence of consciousness. Mats Blennow is professor of perinatal neurosciences at the Karolinska Institutet and a senior consultant in neonatology at the Karolinska University Hospital. He became a board certified in pediatrics in 1990 and in neonatal medicine in 1995. In 1995 he also defended his PhD thesis on “Hypoxic-ischemic encephalopathy”. He was promoted to professor in 2010. 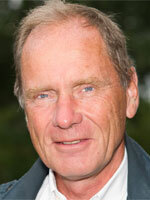 Mats Blennow is the current president of the European Society for Neonatology (ESN). ESN is the official representative for neonatology within the European Commission, and the Union of European Medical Specialities. ESN has the obligation to work for better education of neonatologists in Europé and also to accredit training facilities. One of the initiatives taken in this regard, is the NOTE project (Neonatal Online Training and Education) that ESN runs in partnership with the University of Southhampton. Mats Blennow’s current research is mainly focussed on the consequences on the brain of extreme prematurity, birth asphyxia and maternal depression. Dr Boubou Hallberg is senior consultant, clinical director of Neonatology, MD, PhD. PI in Stockholm for the BiHiVE-2 trial and has wide experience in conducting clinical studies on both preterm and term infants. He was also clinical lead for the NEMO-trial (FP7) and WP lead for Prevention of Retinopathy of Prematurity (PreventROPP) clinical trial (FP7). The Neonatal department is a regional center for all neonatal intensive care and is a level III NICU serving the Stockholm area with a total annual birth rate of 30,000 infants/year. Research is a well-integrated part of the NICU and facilities as research nurses, laboratory, pharmacy and Clinical Trial Alliance work in close collaboration with the clinicians. A non-profit, public body for higher education, Karolinska Institutet (KI), founded in 1810, is Sweden’s only university especially focusing on biomedical sciences. In addition, KI annually awards the Nobel Prize in Physiology or Medicine. KI ranks as one of the world’s leading medical universities, thanks in part to the quality of its research activities, which today account for 40 per cent of all medical research in Sweden. Research at KI has a strong European dimension, with almost 200 project participations within the EU’s now closed Sixth Framework Programme (FP6). KI is a major player in FP7, participating in more than 230 projects including 28 as coordinator.